New developments in biotechnology radically alter our relationship with our bodies. Body tissues can now be used for commercial purposes, while external objects, such as pacemakers, can become part of the body. 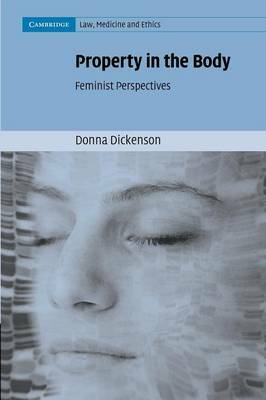 Property in the Body: Feminist Perspectives transcends the everyday responses to such developments, suggesting that what we most fear is the feminisation of the body. We fear our bodies are becoming objects of property, turning us into things rather than persons. This book evaluates how well-grounded this fear is, and suggests innovative models of regulating what has been called 'the new Gold Rush' in human tissue. This is an up-to-date and wide-ranging synthesis of market developments in body tissue, bringing together bioethics, feminist theory and lessons from countries that have resisted commercialisation of the body, in a theoretically sophisticated and practically significant approach.